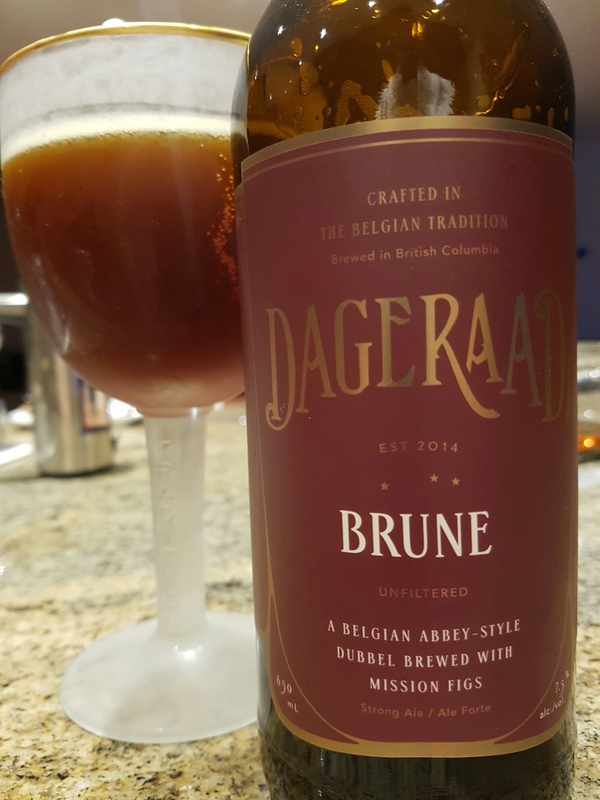 Brune – Dageraad Brewing (Burnaby, BC, Canada) | Justintoxicated. 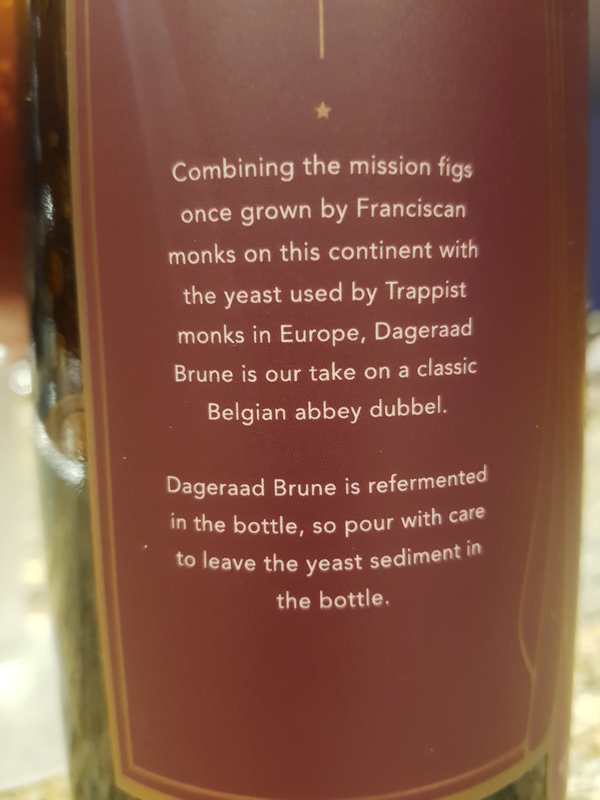 “Combining the mission figs once grown by Franciscan monks on this continent with the yeast used by trappist monks in Europe, Dageraad Brune is our take on a classic Belgian abbey dubbel. Ingredients: Malted barley, wheat, sugar, mission figs, hops, yeast, water. Visual: Pours opaque dark brown without much of a head, a spotty layer of retention with a ring, many singular steady micro streams. Finish: clove wheat malt exhale, residual malty sweetness. Summary: A decent take on a Belgian dubbel, but missing the full, round mouthfeel and sustained body that the Belgians do so well. I’m liking the clove in the finish, and it certainly isn’t as heavy as the Sri Lanka [C+] that I had of theirs.